An exterior deck adds many benefits to your home. It increases your home’s value, and provides your family a wonderful spot to enjoy the nice weather of spring and summer. 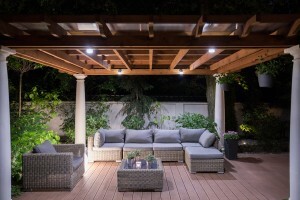 To get the most out of your deck, it is necessary to use your deck lighting to create a great atmosphere. Proper placement and lighting options will create the perfect deck for you and your family. 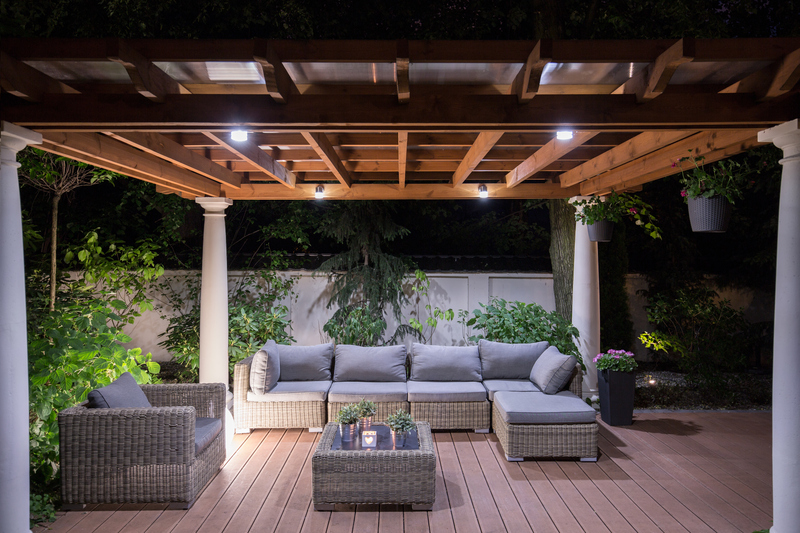 Deck lighting helps provide a great place to spend time on spring evenings. lighting needs, our experts can create a plan to provide you with the perfect set of deck lighting that will last for years to come. No matter what kind of atmosphere you are trying to create, TriStar can help you. Lights can be installed in your stairs, on your deck posts, on rails or under benches. Proper lighting is key to creating the exact mood that you would like for those long summer evenings when your guests linger. No one wants to see all that nasty wiring that comes along with installing lighting. You won’t have to worry about exposed wiring ruining the look of your deck, as our technicians will keep all of the wiring hidden and out of sight. The deck lighting will be hooked up to your homes power source, and an interior switch will be added if necessary. Only the very best materials and products are used, so you can rest assured that your deck lighting will last for years to come. You’ve already made the intelligent decision to invest in an outdoor deck, now it is time to enhance that value by equipping it with professional outdoor lighting. Call TriStar Electric for spring deck lighting today! If you have any questions about deck lighting or any of your electrical needs, or if you have questions related to your generator, please contact TriStar Electric, Maryland’s premier residential and commercial electrician, by calling 410-799-5791 or 301-384-8880. Or, you can fill out the contact form on our website. This entry was posted on Monday, March 7th, 2016 at 7:05 pm. Both comments and pings are currently closed.